Brian Auten at Apologetics 315 posted a lecture by William Lane Craig on the historical Jesus. In his post, Brian doesn’t really say much about where or when the lecture was recorded. But I can tell you! This lecture has a special meaning for me because when I was just learning about apologetics, this was one of the first lectures I ordered. The lecture was delivered in 1996 at Southeastern Baptist Theological Seminary as part of the distinguished Carver-Barnes Lecture Series. The title was “Re-Discovering the Historical Jesus”. Hearing this again (I lent mine away and never got it back) was a real treat for me. And here is a summary I made so you can follow along as you listen. – what does the Jesus Seminar believe about Jesus? – what is a pre-supposition? 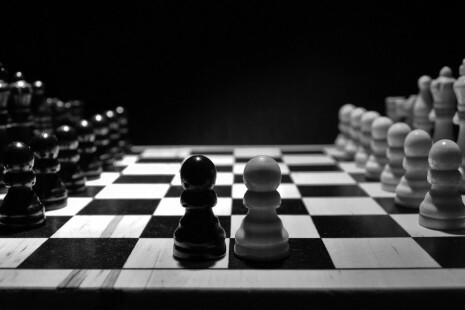 – how do pre-suppositions affect the study of history? – does the Jesus Seminar represent the consensus of NT scholars? Lecture 2A: are the NT gospels historically reliable? – passage about no one knowing the father except the son, etc. There is a very noisy weird person in the audience who keeps shouting his approval. This lecture is almost identical to a lecture that Craig gave for Stand to Reason’s Masters Series, on the pre-suppositions of the Jesus Seminar. There is no Q&A in this lecture, but there is Q&A in the STR version. 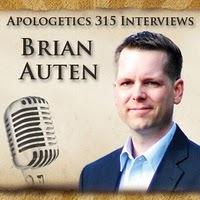 Brian Auten of Apologetics 315 interviewed by… the Wintery Knight! Click here for the interview on Apologetics 315. Yes, it’s really me. That’s what I sound like! • Why not use your real name? • What’s the focus on WinteryKnight.com? • What’s your goal in interviewing Brian? • How did you come to be in Northern Ireland? • How did you get interested in apologetics? • What would you do with unlimited funding to propagate apologetics resources? • What arguments are the most persuasive for you? • What arguments should we use with others? • Do we need a million “one dollar” apologists, or one “million-dollar” apologist? 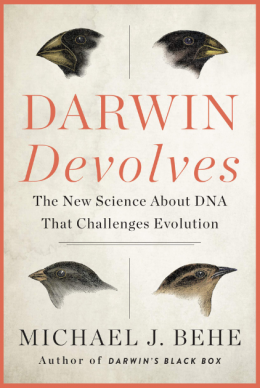 • How important do you think it is for apologists to focus on scientific evidences? • How can the lay person get up to speed on these evidences? • What’s the best way to make the case for the resurrection ? • Use a sledgehammer approach, or a velvet glove approach? • What about psychological reasons for rejecting the arguments ? • How does apologetics benefit Christians? • What about dealing with fear when speaking with people? • What are the unique resources on the blog? The audio is 53 minutes long! I’m not sure how I missed this, but this interview is definitely in the top 5 that Brian has done. 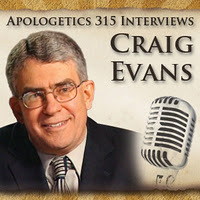 Today’s interview is with Biblical scholar Professor Craig Evans. He talks about his background and how he got into this area of scholarship (Jesus, the Gospels and Biblical manuscripts), what impresses him most about the Bible, handling manuscripts, the quest for the historical Jesus (and its overall timeline), the scholarly opinion on the “Jesus never existed” claim, the consensus of scholarship (and why scholarship is important), the contemporary distortion of Jesus, the demonstrable flaws in the thinking of particular scholars, evaluating presuppositions, a case for the reliability of the Gospels, the contrasting view of the “other” gospels, how to investigate the miracle claims within the Gospels, responding to the “failed apocalyptic prophet” objection, the faults in Bart Ehrman’s reasoning, advice for those taking their Biblical studies seriously, the do’s and don’ts of arguing for Bible reliability, and more. Find Craig Evans’ website here. His author page here. See also Fabricating Jesus. You can grab the MP3 file here. It’s 73 minutes! But worth the time.